NEW FEATURE: SprutCAM recently added the fast painting selection feature. This allows you to easily select multiple faces without having to physically click the mouse over and over. 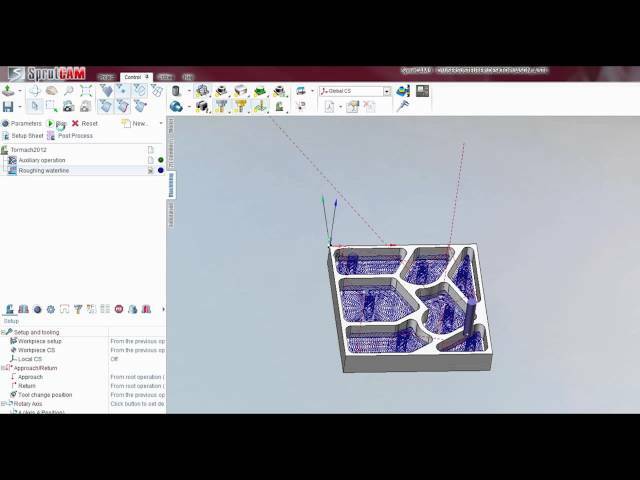 In this SprutCAM 9 tutorial video, Jake Steuber discusses how to setup roughing steps for a 2D contour operation. This is very useful when using a slitting saw, which is demonstrated in this video. 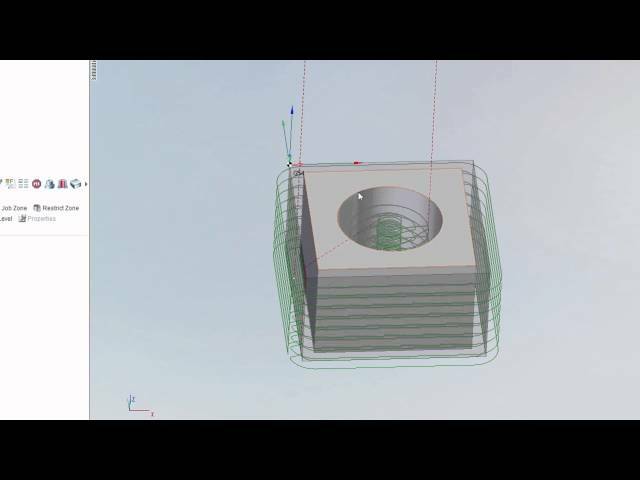 In this SprutCAM 9 tutorial video, Jake Steuber goes over how to bring the Tormach 15L Slant-PRO Lathe, Tormach PCNC 770 and PCNC 1100 machine definitions into SprutCAM 9. 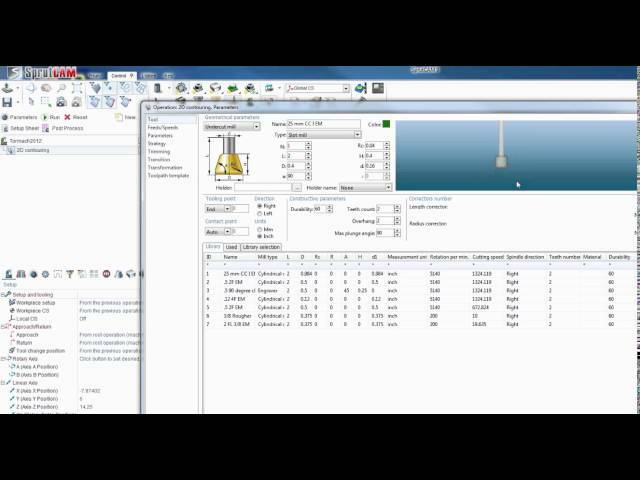 In this SprutCAM 10 video tutorial, Jake Steuber walks through how to utilize Job and Restrict Zones when programming with the Roughing Waterline Operation. 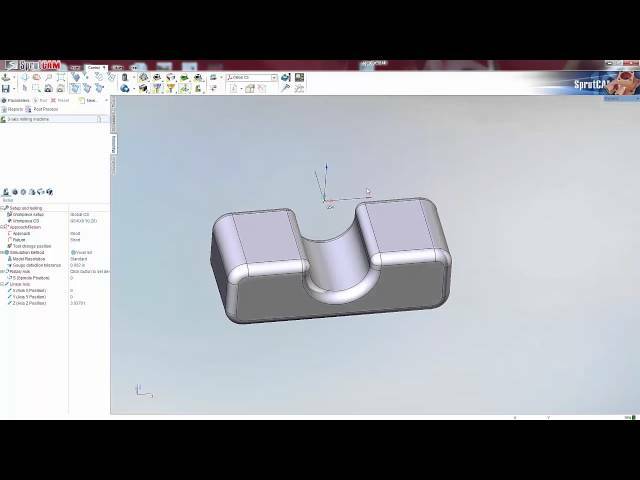 These can be used to have SprutCAM avoid machining in certain areas, or allow it to only machine in the designated area. In this SprutCAM 9 tutorial video, Jake Steuber gives step-by-step instructions on how to create a slitting saw in the SprutCAM Tool Library. 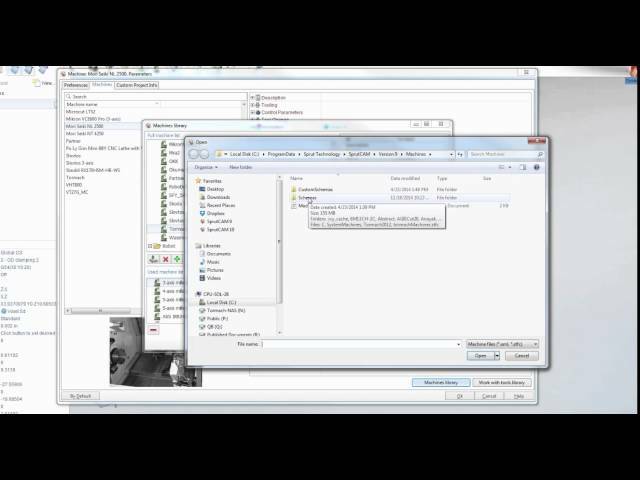 In this SprutCAM 9 tutorial video, Jake Steuber goes over the Adaptive Roughing Module (sold separately) and its related features. 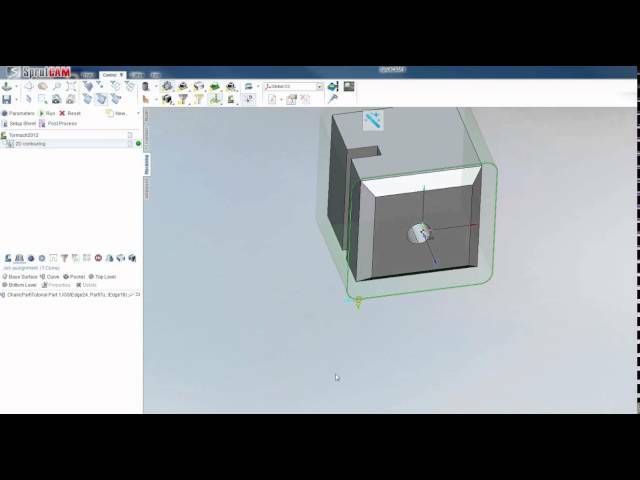 In this SprutCAM 9 tutorial video, Jake Steuber walks through the steps of creating a new coordinate system using G55. This is essential when you are doing multi-side machining and need more than one setup in a single program. In this SprutCam 9 tutorial video, Jake Steuber goes over how to tap in SprutCAM using a compression tapping head. Various hole machining practices are covered along the way. Proper feeds and speeds practices, dwell times, and thread pitch are gone over to achieve success in programming it. 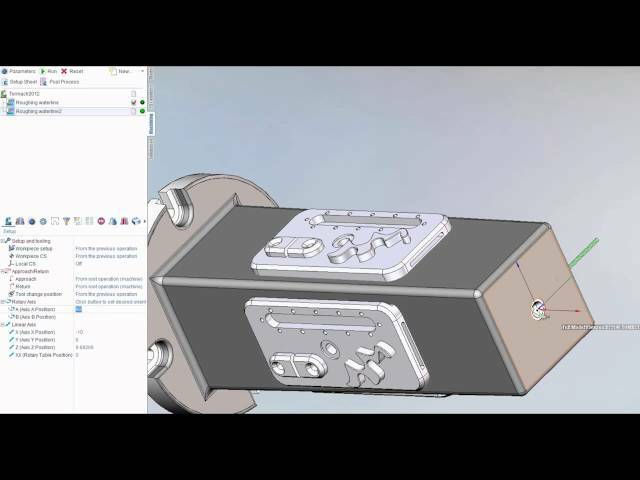 In this SprutCAM 9 tutorial video, Jake Steuber goes over how to index and transform toolpaths on a Tombstone using the 4th Axis. 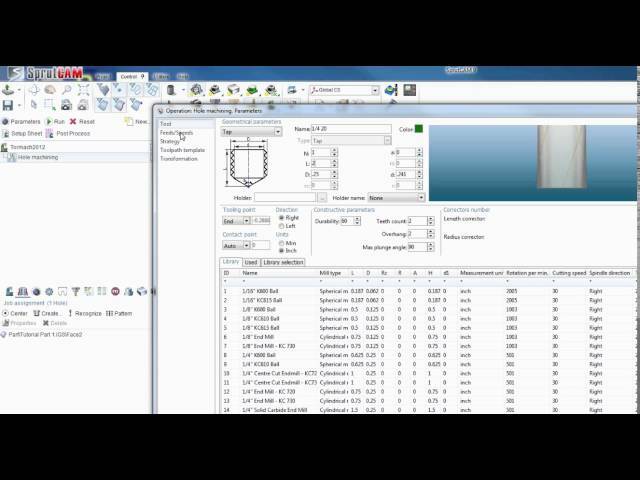 Topics covered range from enabling the 4th axis on the machine definition to programming machining operations. 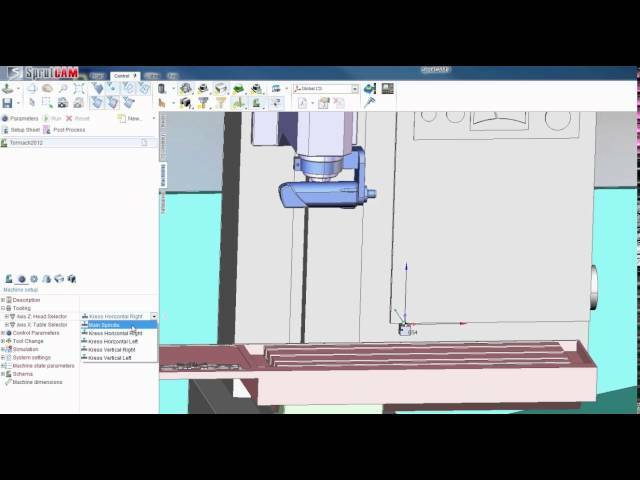 In this SprutCAM 9 tutorial video, Jake Steuber goes over the basics of the 'Tormach 2012' Machine definition. Topics covered are turning on and off the setups of the 4th axis and the Kress High Speed Spindle, along with how to move the Global Coordinate system around. 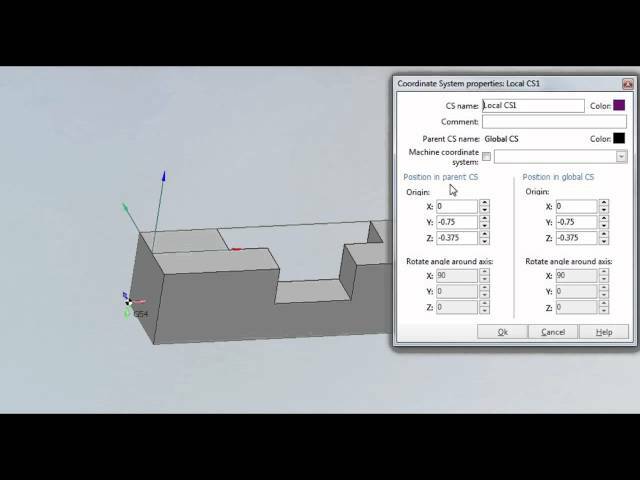 In this SprutCam 9 tutorial video, Jake Steuber goes over the concept of chamfering a part using a 2D contouring operation. 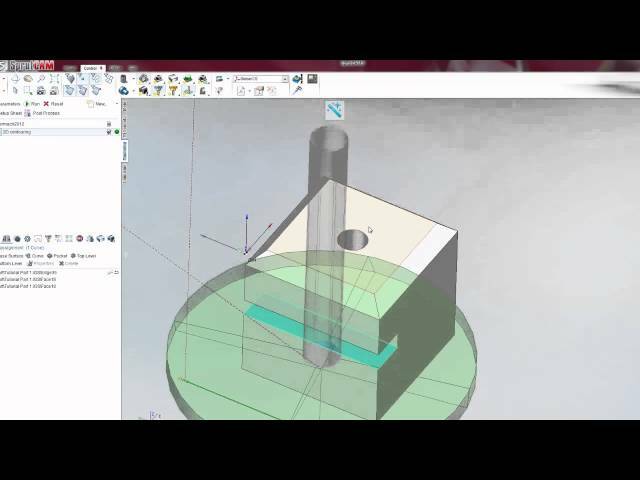 Topics covered include creating a chamfer mill, setting contact points on cutters, setting top and bottom levels in job assignment, and tangent (rounded) corners.